Sooner or later, anyone of us may reach a point in our lives when we have trouble doing even some of the more menial everyday tasks that we did with ease what seems like not that long ago. This may come about because of a disability, a temporary weakened state, or simply because old age is kind to no one. Regardless of why we may find ourselves in need of a bit of assistance, it is good to know that there are plenty of different devices that can help us remain as independent as possible even while in this more weakened state. While there are many different items that can fit the bill of living aids that can help you in the areas you are having trouble in, the most useful among them are the different mobility aids. You have the choice of either getting yourself a simple wheelchair that you can easily push around anywhere you go, or an electric scooter, in case you plan to use it primarily outdoors. There is however the compromise of getting an electric wheelchair which will let you have the best of both worlds. 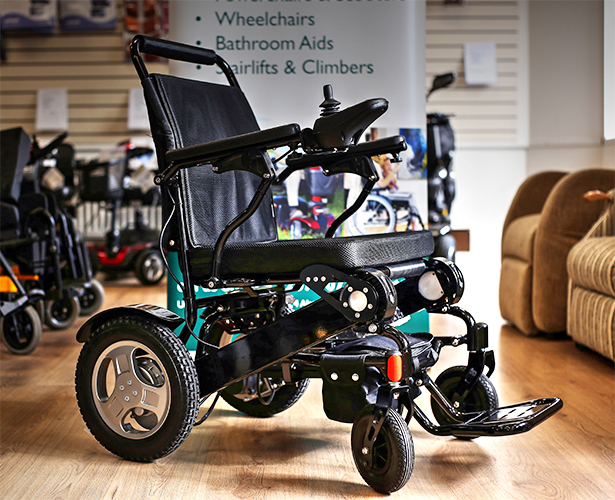 The obvious biggest advantage of the electric wheelchairs is that they can make movement much easier for those that had trouble in that area, but there are also a number of other useful benefits that they can offer. For example, there are plenty of lightweight foldable wheelchairs that can easily fit in the trunk of any car, while still providing you with every available comfort in terms of seats and arm and leg rests. You also have the option of getting a model that has a larger battery capacity or even one that has a bit more power, as well as plenty of different others that have a large amount of storage space or even a larger and more luxurious seat. There are plenty of different ailments that can reduce your physical health to a point where you would need assistance with everything from chores or basic tasks around the house to even being able to feed yourself. There is absolutely no need to ever feel ashamed about needing help in your biggest time of need. However, if you do need to regain a bit of your independence and at least be able to go around your local park for some fresh air without troubling anyone else, then electric wheelchairs can really be a great help to you.